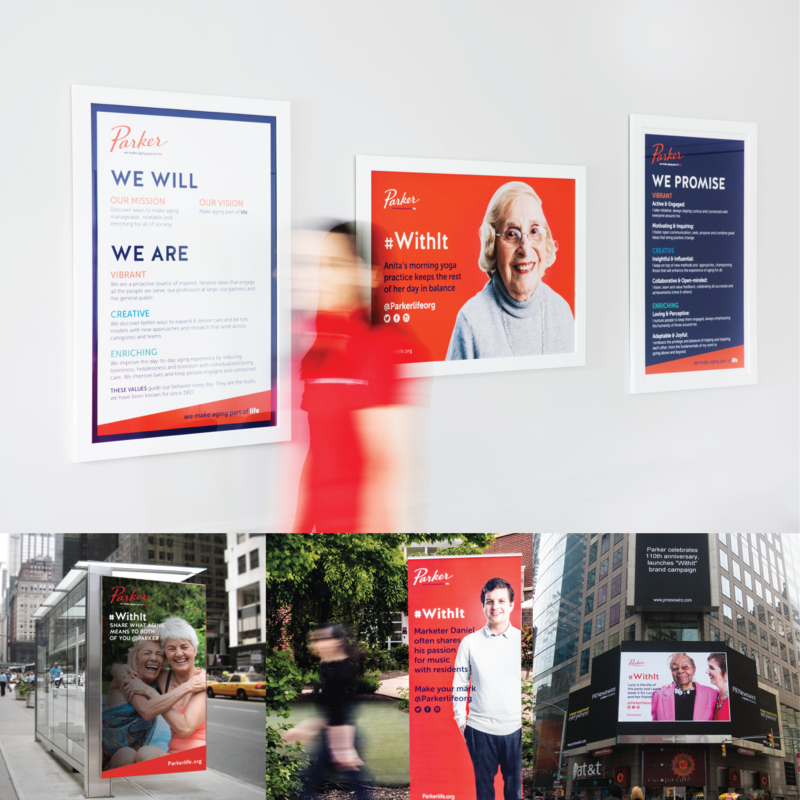 Ideon rebranded Parker to own the conversation on aging. The Organization—The Francis E. Parker Memorial Home, a 110-year old aging services provider established by members of the J&J family, now with six campuses in and around New Brunswick, NJ. 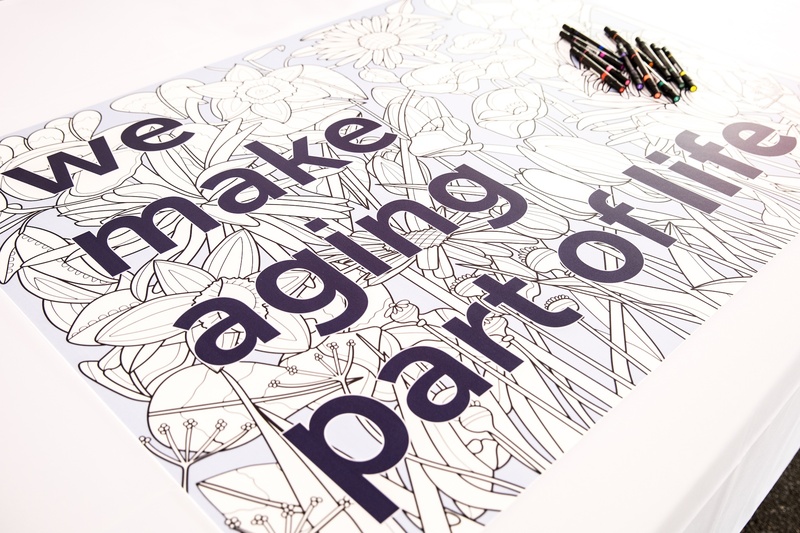 The Challenge—Parker wanted to grow regionally, change perceptions of aging and build a reputation for leadership in aging services. The Insight—The power of branding to eradicate stereotypes. 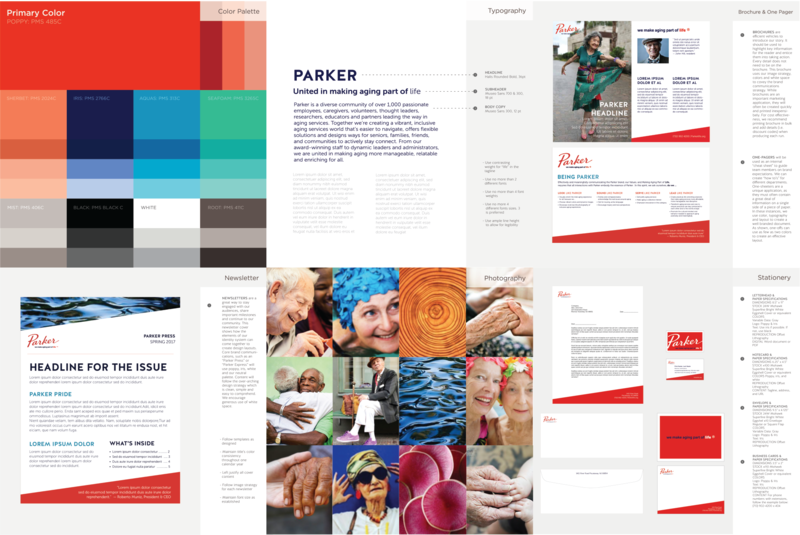 Based on our analysis we revealed Parker’s history of leading aging services was under-leveraged through an entire misrepresentation in brand positioning, design and communications. In parallel we confirmed an entirely new and more positive view of aging among today’s seniors living longer, healthier lives. Conversation: Move the conversation from internal to external and to make aging part of life, a requirement for older demographics in the USA. Clarity: Define Parker’s business as a great organization and experience rather than a basic operation. Currency: Position Parker to extend to those 65 and older, who increasingly don’t see themselves as aged. This demographic will grow by 38 percent from 53 million to 73 million by 2030. Culture: Train 800 employees and converted their sense of self from being only caregivers to also life givers to residents, their families and the community, alike. 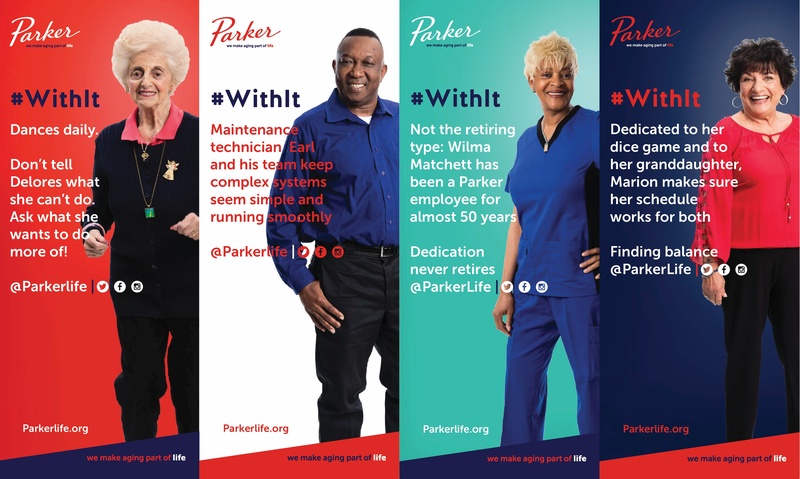 The Result—Parker is transforming the business, delivering on the brand through extensive revisions in communications, services, customer experiences, and through a newly minted #WithIt campaign. The new logo is a hand-drawn signature inspired by Francis E. Parker, the founder of Parker. Detailed guidelines help Parker stay on message and on brand. These images capture the new brand in the wild—including in Times Square! The Parker community celebrated the new brand launch at six simultaneous parties on May 11, 2017—one for each residence. We brought the #WithIt campaign to life by showcasing real stories from Parker residents and staff. We worked with Pell & Pell to design a custom mural featuring Parker's new tagline. 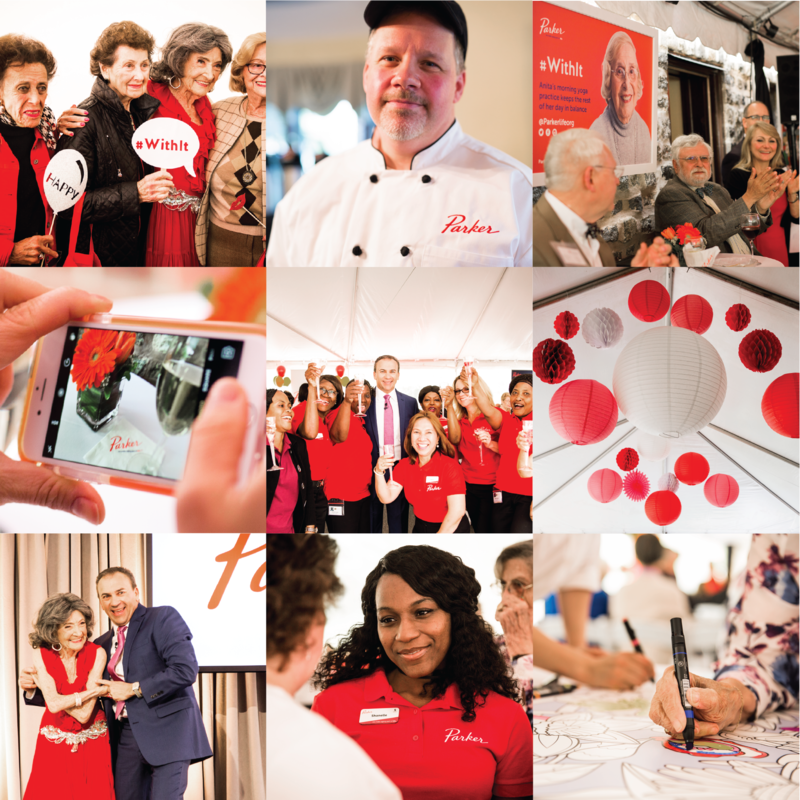 On launch day, residents and families came together to put their own touch on the new brand. 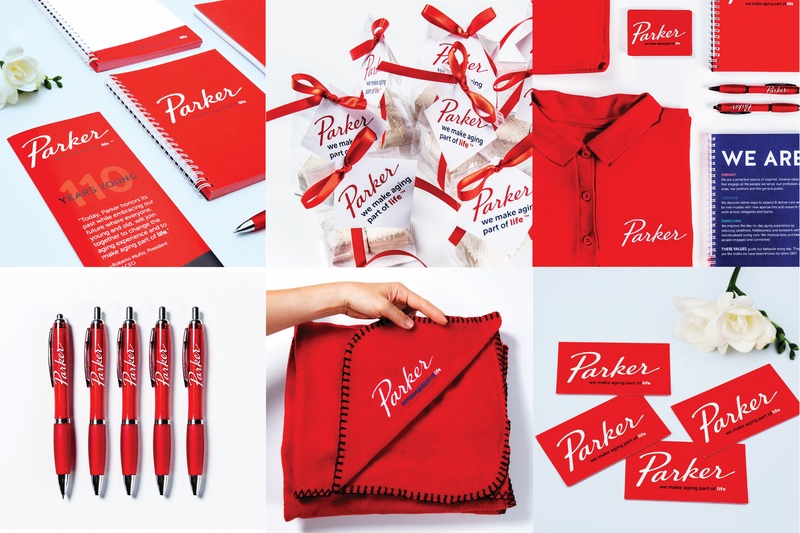 We created useful branded items for launch, including new employee uniforms, cozy blankets, playing cards, and notebooks that capture Parker's values and promise. Parker's new brand film is about changing the narrative about what it means to get older in America.